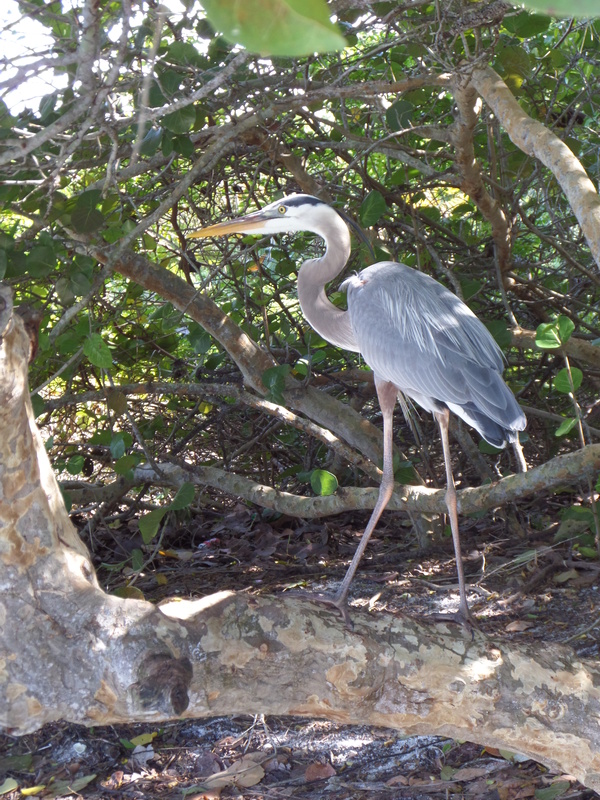 Yesterday I visited Lovers Key State Park near Ft. Myers Beach in Florida with several family members. 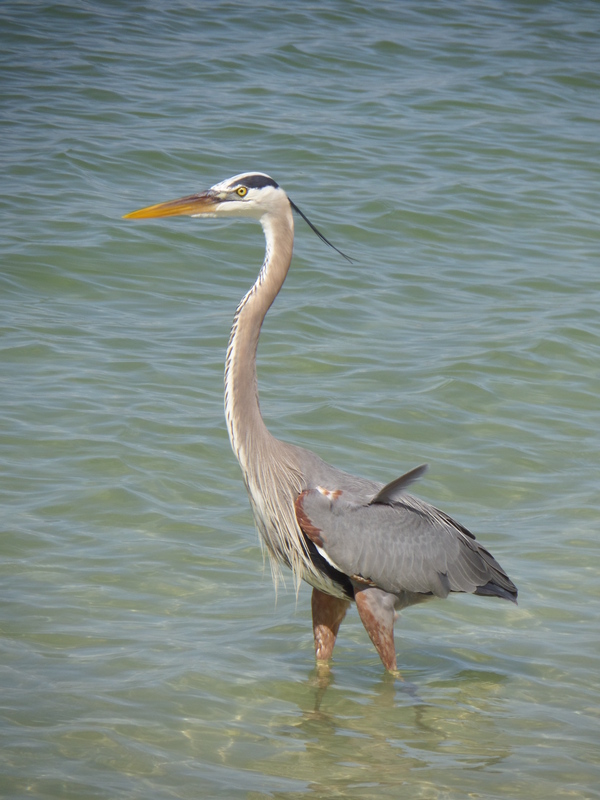 We were lucky enough to see a very bold Great Blue Heron striding about in royal manner, seemingly unafraid of the people enjoying the beach. Even the noisy pontoon boats pulling up on the sand did not seem to bother this fellow who was simply intent on getting his lunch.